If there’s one thing I love more than learning languages, it’s sitting on the sofa in my pants. Fortunately, these activities aren’t mutually exclusive, so I’m always on the lookout for ways to combine my two favourite pastimes. 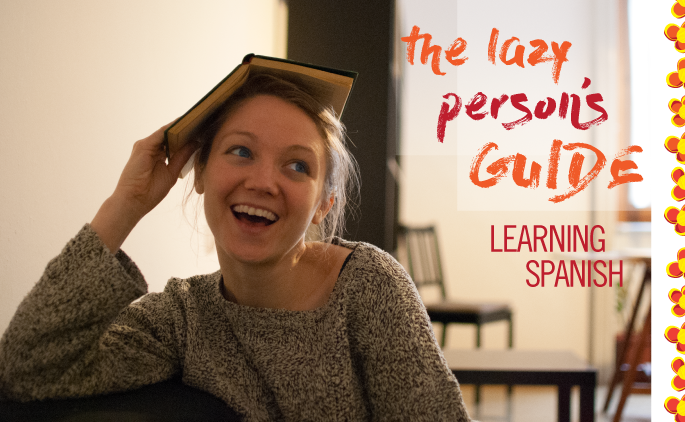 I’ve had a lot of questions about Spanish recently so this sleepy Sunday seemed like the perfect time to share some of my favourite resources for learning Spanish the lazy way. This laid-back podcast does exactly what it says on the tin. 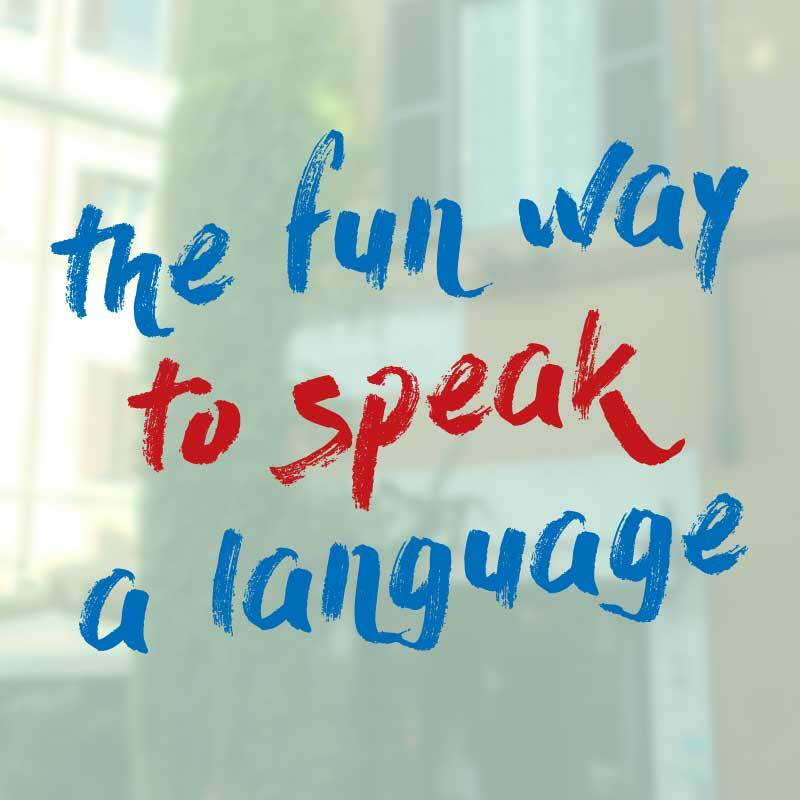 The lively presenters give you short ten minute snippets designed to feel “like going for a coffee with your friend who happens to speak Spanish”. The podcasts go through the basics at beginner level right through to advanced conversations and are perfect to listen to whilst snuggled up on the sofa with a cup of something delicious. The basic podcast version is free for all levels. If you’ve seen me on instagram, you’ll know I’m a big fan of Spanish soap operas, otherwise known as telenovelas. I love having a guilt-free pass to binge watch bad TV, safe in the knowledge that I’m buffing up on some Spanish. They might seem inane, but telenovelas are actually a deceptively savvy learning tool for several reasons. Firstly, the actors tend to speak slowly with exaggerated intonation, making their speech easier to follow compared to other types of TV programmes and films. Also, the acting is usually so hammy that it’s possible to follow the plot without understanding every word. This provides plenty of context from which to deduce the meaning of words, a strategy which is often thought to boost vocabulary learning. Finally, telenovelas are based around the day-to-day lives of the characters, so you get exposure to lots of relevant vocabulary that you might not come across in standard text books. Of course, not all of the words in Spanish soap operas are applicable to every day life. Still, it’s good to know I can cry “how dare you betray me Alejandro! !” in Spanish, should the need ever arise. I’m so happy to see the growing body of Spanish language shows on Netflix. From comedies like club cuervos to documentaries about Pablo Escobar, now you can watch Netflix and brush up on your Spanish at the same time. Many of the shows are available with closed caption subtitles which allow you to read while you listen, a big plus if you struggle to follow the audio alone. So there you have it. Three fenomenal excuses to get into your PJs, make yourself a tasty snack and plant your behind firmly on the sofa for a few hours. Happy learning! Are you learning Spanish at the moment? Do you have any lazy learning strategies? Let us know in the comments below.